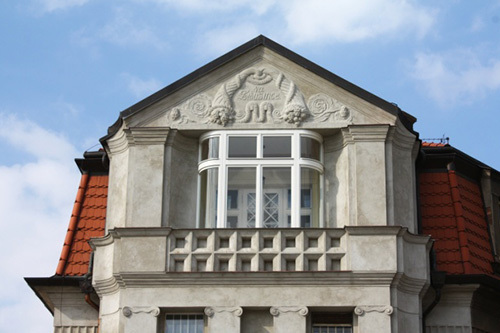 20th century architecture (and yes, even Art-Nouveau only appeared in the past century) is quite broadly represented in the Czech metropolis. 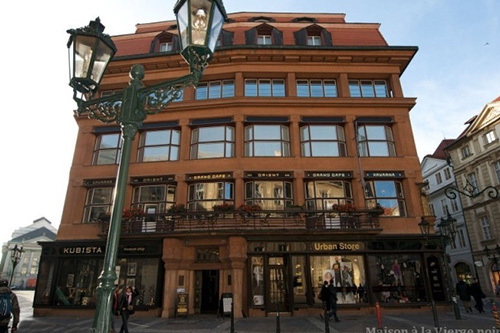 The individual buildings are scattered around the whole city, so at times we’ll be taking a tram to visit them. 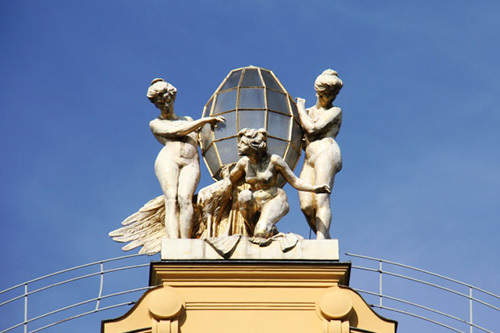 But the basis of the tour is still a downtown walk. 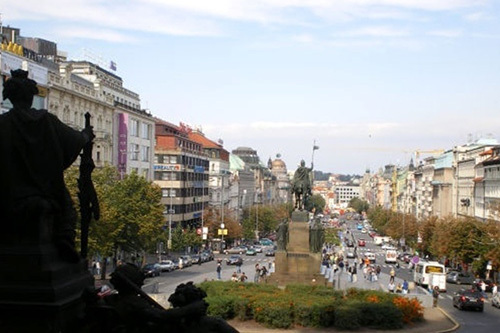 Wenceslas Square is named after the equestrian statue of the Czech patron saint, St. Wenceslas, that dominates the upper portion of it. 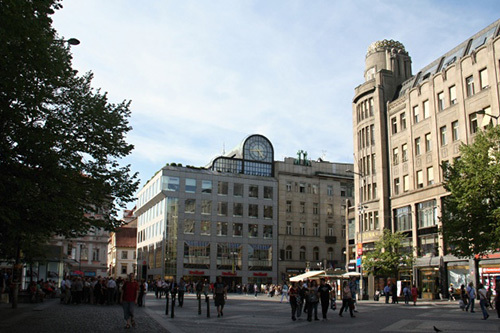 It was the place where, after the tragic events of the 1968 Prague Spring, student Jan Palach set himself on fire in the following year. 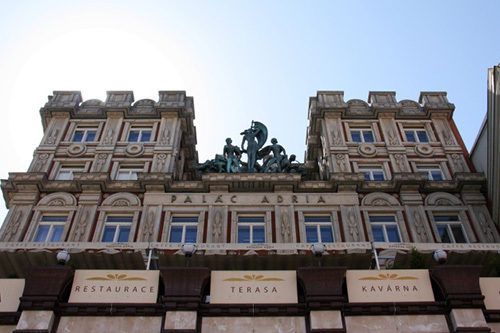 Twenty years later, the Velvet Revolution took place here. 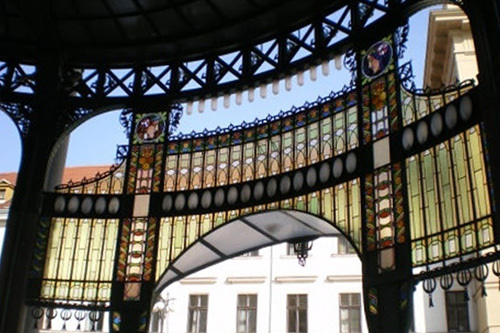 The square offers multiple noteworthy examples of buildings that witness the diverse architectural styles of the beginning of the 20th century. 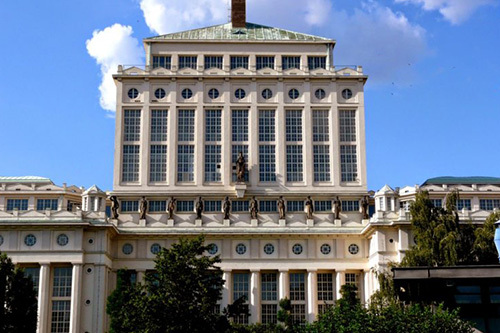 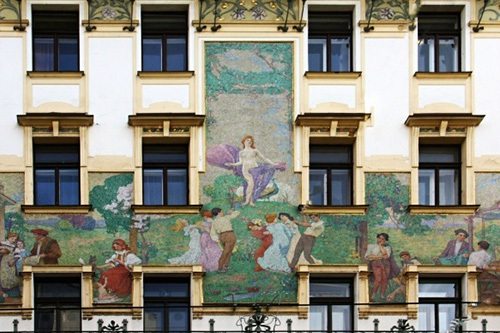 The Koruna Palace is an example of geometric Art-Nouveau, the famous Hotel Europa on the other hand exemplifies traditional floral Art-Nouveau. 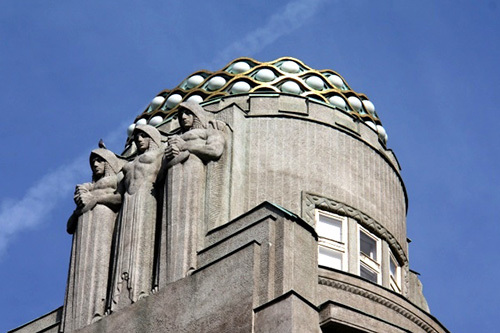 Other gems of Art-Nouveau design include the Municipal House. 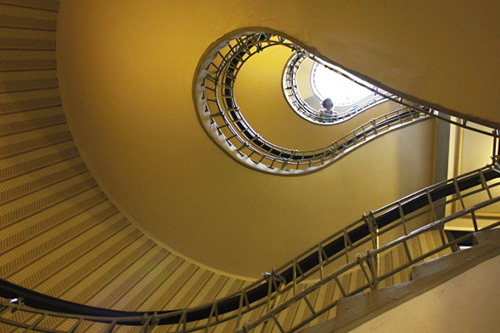 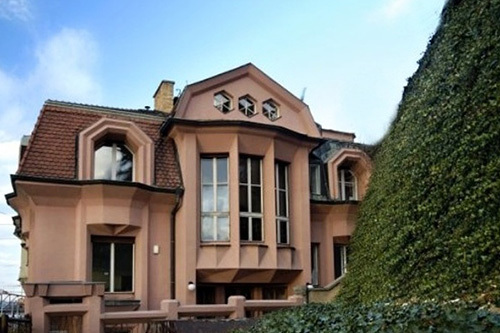 This tour will also take us to the famous Cubist House of the Black Madonna. 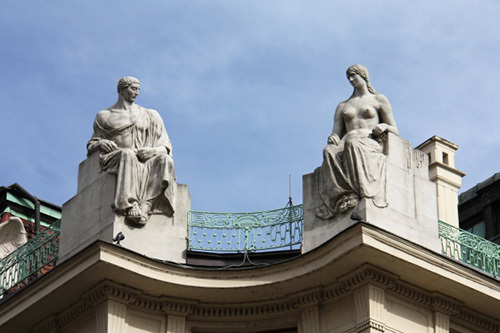 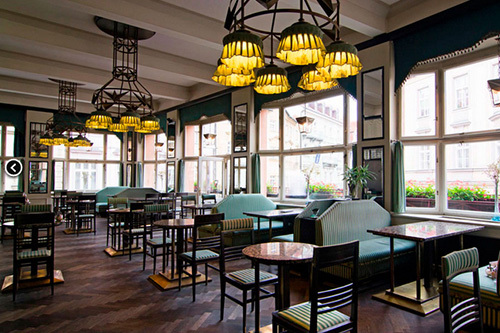 Functionalism then took the stage with admirable force, pushing the pompous and décor-heavy Art-Nouveau to the background, preferring architecture that highlights function. 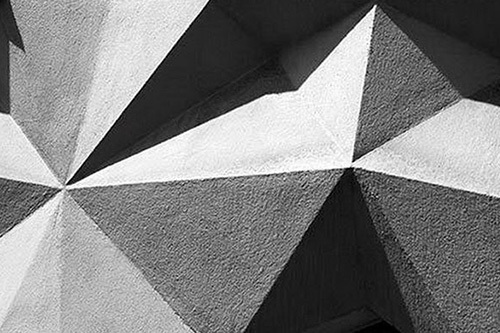 For those interested in Brutalist architecture, we can include examples of this concrete-exposing style in the program. 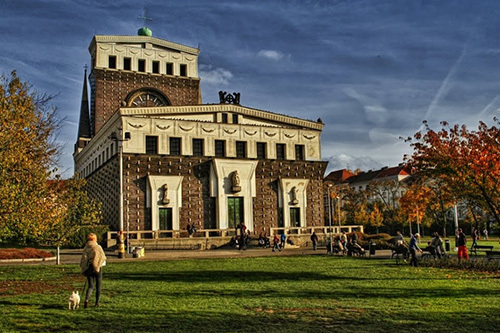 Although these building are related to the Communist era in the Czech Republic, many interesting works were built here at the time. 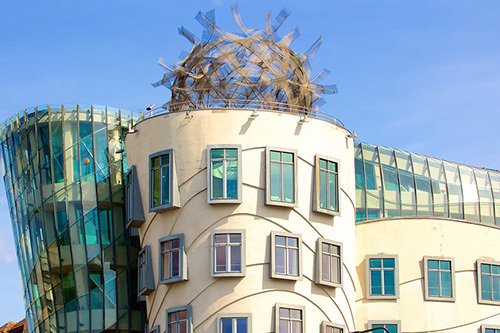 Aficionados of Post-Modern architecture are drawn to the Dancing House, also known as Ginger and Fred in celebration of the famous dance pair. 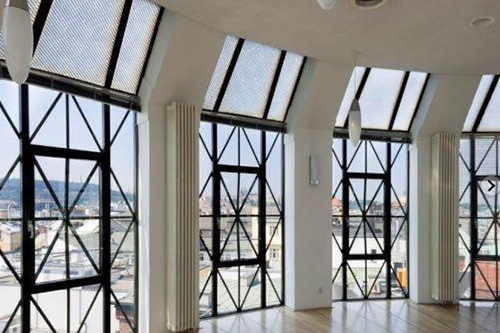 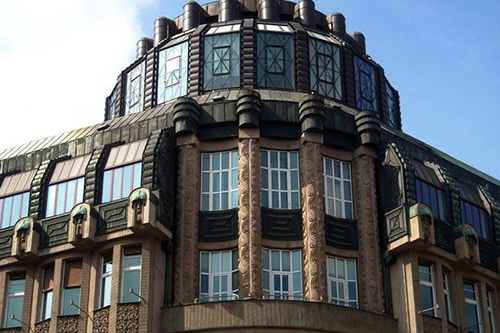 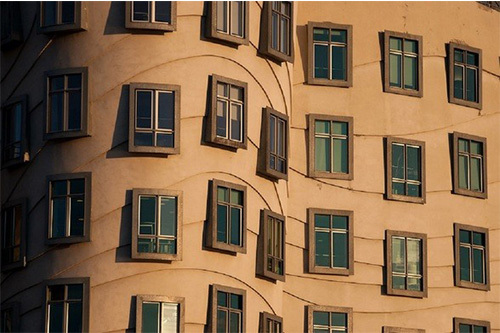 It is the work of Czech architect Vlado Milunić and his famous American colleague Frank Ghery. 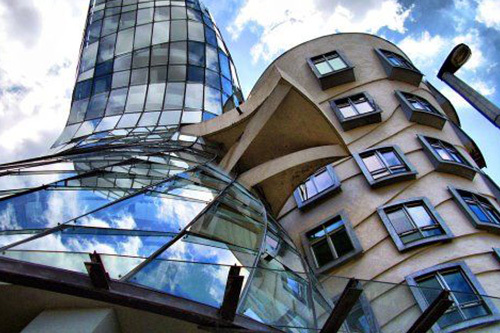 It’s considered a unique example of Deconstructivism in modern architecture. 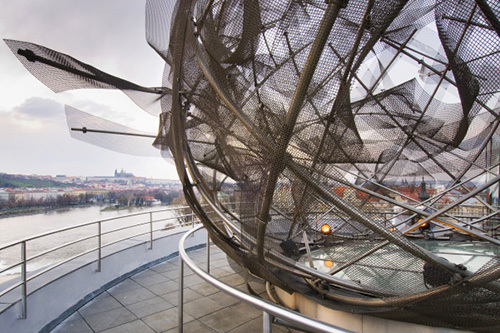 Its rooftop terrace provides a breathtaking panorama and view of the Prague Castle. 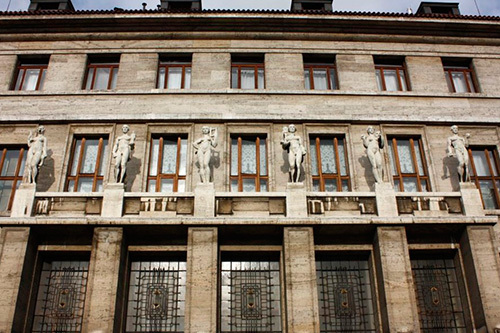 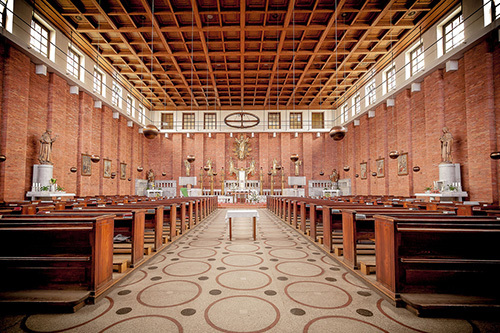 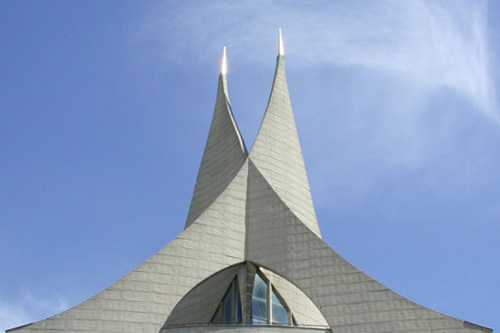 Among other icons of modern architecture that can also be included in the program are the Lucerna Palace with its Rokoko Passageway, Adria Palace, Josip Plečnik’s unique Church of the Most Sacred Heart of Our Lord and the Žižkov TV tower. 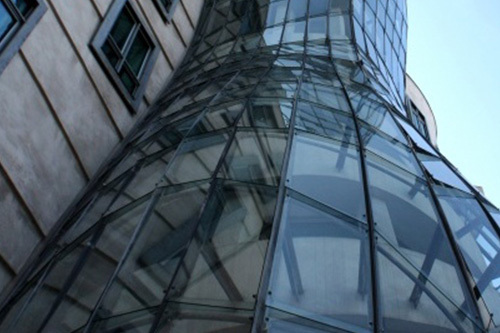 The entry to the terrace that boasts a 360 degree view is conditioned by ordering a drink at the Glass Bar.